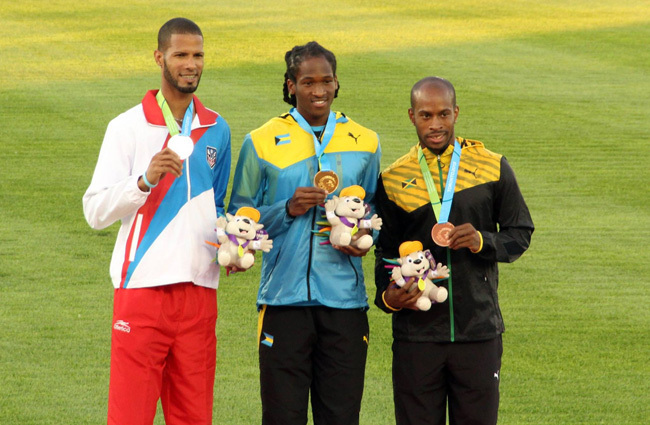 Jeffrey Gibson competed on July 23rd and claimed a gold medal in the 400m hurdles. Nassau, Bahamas - The Ministry of Youth, Sports and Culture extends congratulations to Jeffery Gibson who joins swim sensation Arianna Vanderpool-Wallace as a gold medalist and the country’s newest Golden knight; Gibson set a new national record in his gold medal performance at the 2015 Toronto Pan Am Games in the 400 meters intermediate hurdles event. Gibson has emerged as one of the leaders in the next generation of track and field athletes to make their presence felt on the international stage. We wish him continued success in the August World Track and Field Championships in Beijing, China and in his preparation to represent his country at the 2016 Rio Olympics.